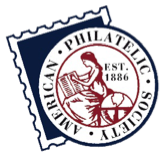 A new book from the American First Day Cover Society chronicles a collector’s love for the 8-cent Albert Einstein stamp of 1966. The Al Raddi Collection of Scott 1285 Albert Einstein FDCs shows 163 different first day covers for the Prominent Americans issue. Each of the cachets is shown in color. Raddi, from Michigan, invites readers to send information about other cachets that exist for this issue. The book starts with a brief biography of the scientist, and information about both the U.S. Einstein stamp and those issued by other countries. The Al Raddi Collection is available as a .pdf download from the AFDCS for $8 ($6 for members) or a printout may be purchased for $15 ($13) postpaid. Either version may be ordered from the AFDCS website by clicking this link. The printed version may also be ordered by mail from AFDCS Sales, PO Box 44, Annapolis Junction, MD 20701-0044.